As an aviator and a trainer ‘Proper Prior Planning’ has been a mantra I’ve lived by for the last twenty-eight years. It seems it’s going to stand me in good stead for sailing! Graham and I are gearing up for our first blue water cruise to New Caledonia and Vanuatu and, hopefully, Fiji, departing early May if the weather cooperates. It’s exciting, a touch daunting, and more than a little hectic. It also involves shopping on a grand scale… And anyone who knows me well knows I have a badly evolved shopping gene. Thank goodness Graham enjoys it! Our purchases for the last week include a new life raft, a set of flags for the countries we’ll be visiting, a satellite phone, anchor tackle, a hand sewing awl, a new percolator (after the coffee machine died…), spare parts for the engines, spare parts for the generator, and 6 months supply of toilet paper! The trickiest part of all this? Finding space for everything… Luckily Roo Bin Esque has lots of nooks and crannies. The endless list of jobs hasn’t shrunk yet either. As I cross an item off another one appears, sneaking up while my back’s turned. We’re going to be hauled out at Boatworks in the Coomera River in two weeks so we can antifoul the boat’s hulls, service the engines, and check to see all is seaworthy. 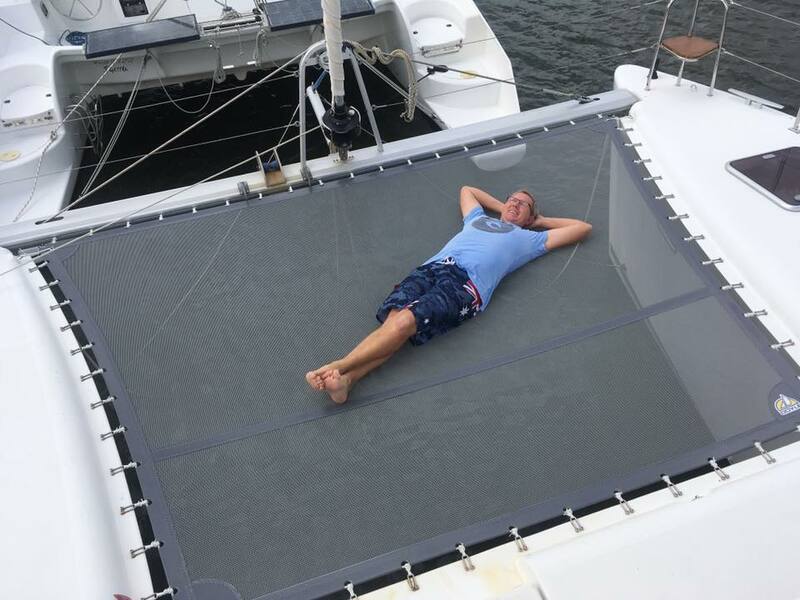 Between now and then we need to replace window seals, fix small deck repairs, sew sun screens for the back deck, waterproof the canvas, repair the dinghy, polish the top decks, check all the lines and much, much more. Meanwhile I’m desperate to find time to write as the next cast of characters are clamouring to tell their stories. And then there will be edits on the current book. For me, writing lists helps me keep it all on track. If my list is done then it’s been a good day and I’ll sleep well at night. If the list is stubbornly resisting being ticked off then I don’t have the same sense of satisfaction for the day. Since Graham’s approach is a little different he thinks my lists are hilarious, but he learnt a long time ago that a pilot and her list should never be parted! 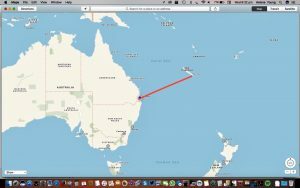 Blog Adventure, Blue Water Cruising, Helene Young, Humour, New Caledonia, Roobinesque, sailing, Travel, Vanuatu. permalink.